CHEWY Chocolate Chip Cookies Made With Bread Flour! 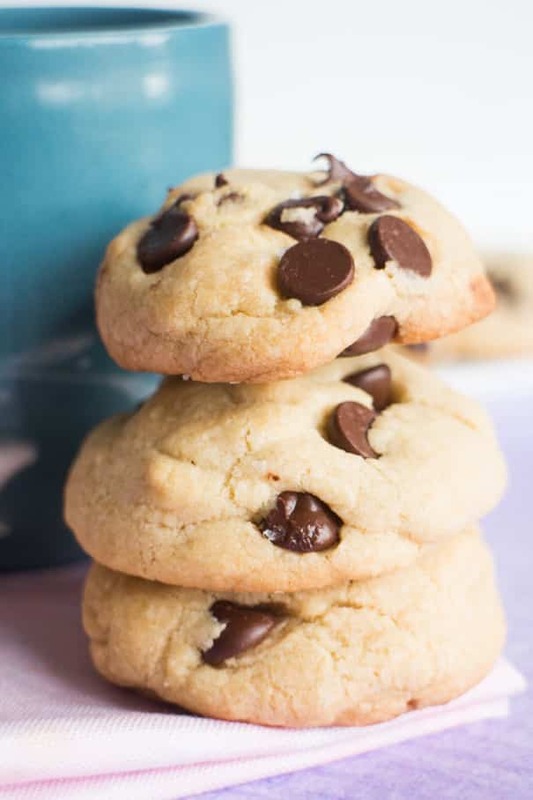 My husband declares this the best chocolate chip cookie recipe! 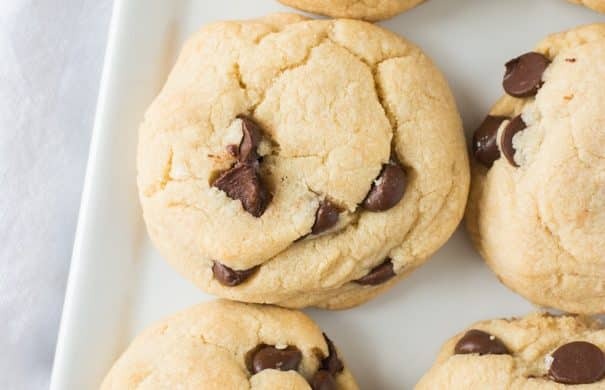 This easy recipe makes 2 dozen homemade cookies. Save this recipe – you’re going to love it! My husband won’t stop talking about these Chocolate Chip Cookies! He recently told me they were his favorite cookies that I make, which surprised me. After all, they were kinda a accident….! I was craving cookies so I decided I was going to make my favorite chocolate chip cookies. I got out all the bowls and supplies, except the flour. That’s because I quickly realized we were all out of all purpose flour! What’s a girl to do when she wants chocolate chip cookies? She improvises! So I decided I was going to make cookies with bread flour. The results.. 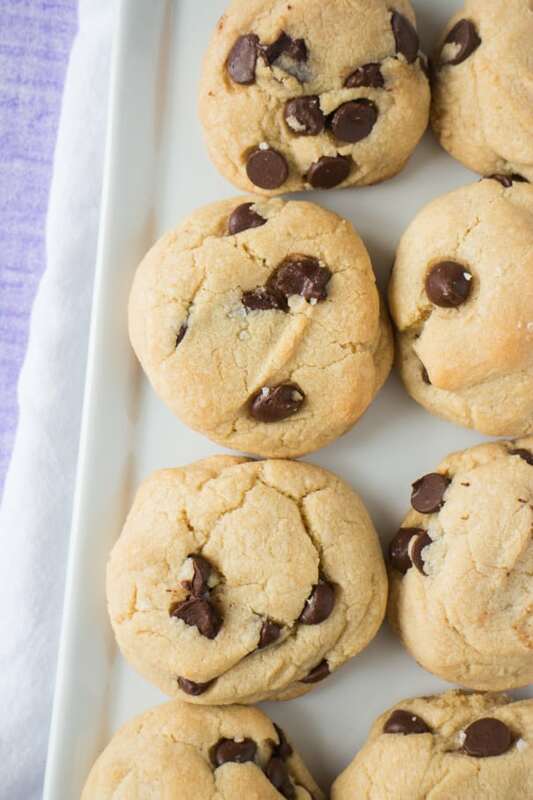 These Chocolate Chip Cookies Made with Bread Flour are so chewy and delicious! I will always have bread flour in the cabinet now specifically for cookie making! Who knew bread flour could transform a cookie to be so good! So the science of why these cookies are so chewy is because bread flour produces more gluten, causing a more chewy cookie. The results is crispy, chewy cookies, which are dare I say: perfect!